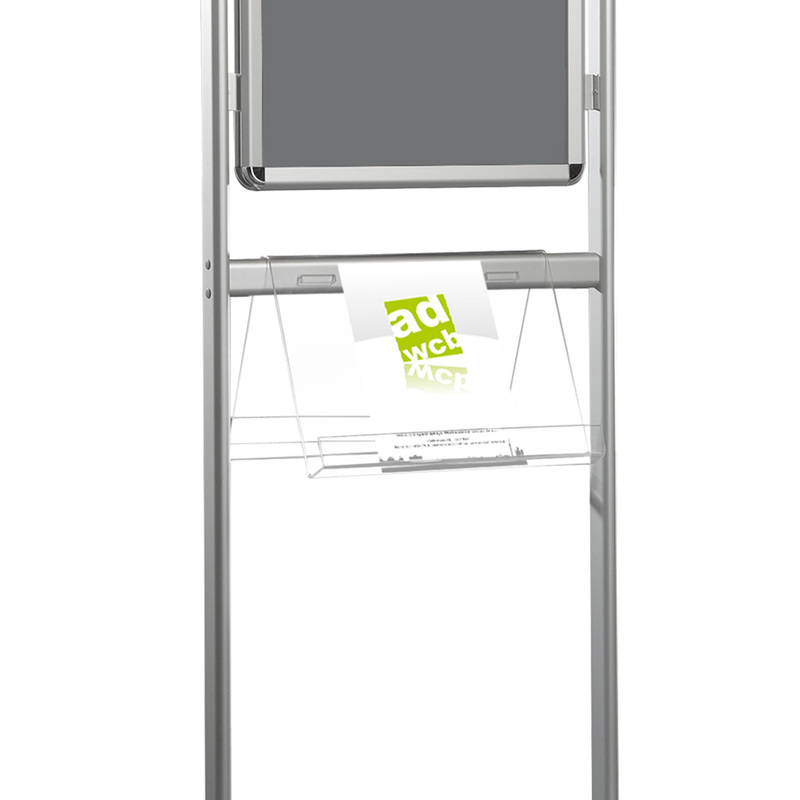 The Poster Stand Classic in A1 size with brochure holder is a double-sided sturdy aluminum poster frame and display combination with a brochure holder for effective and stylish presentation of posters, brochures or information in indoor areas for broad public. 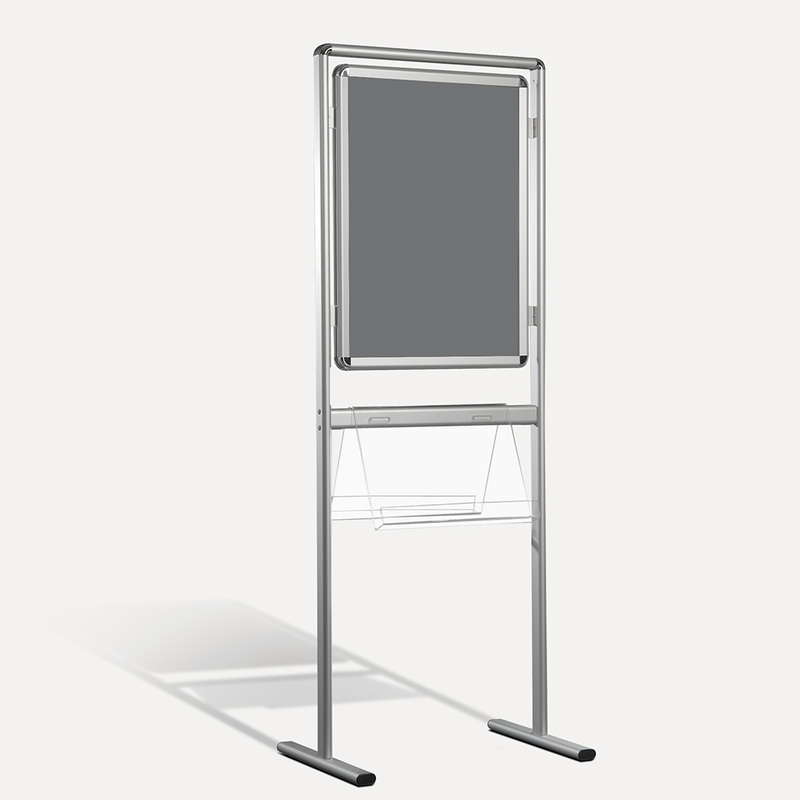 This display has double-sided clamp frames and 32mm aluminum clamp profiles with rounded corners. 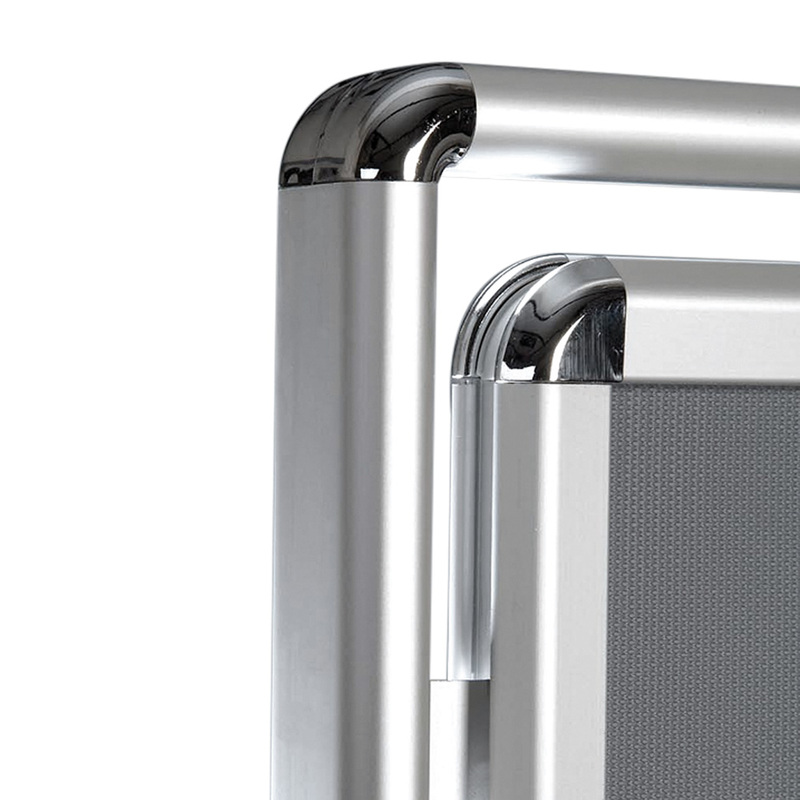 Your Posters are protected by a plastic back and an anti-glare protective sheet.